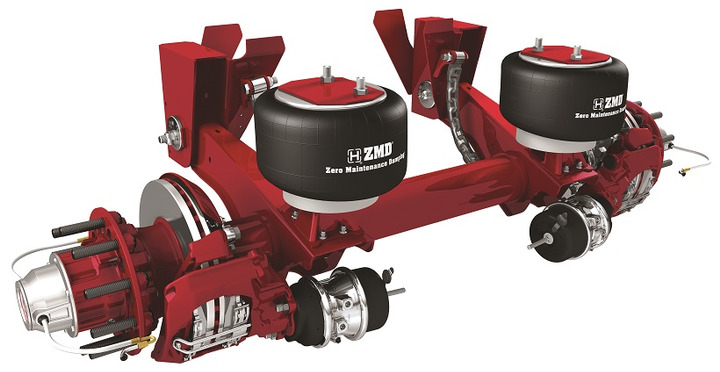 By creating a system where all of the components are designed to work together, trailer suspension makers are emphasizing the benefits of integrated solutions over buying each piece separately. Trailer suspensions can often be an overlooked part of a larger equipment purchase, and unless they provide an obvious value, price often becomes the deciding factor. But thinking of the suspension as part of an integrated system and choosing the right equipment for your application can prevent headaches — and higher costs — later on. Suspension engineers haven’t been resting on their laurels and it’s worth looking beyond the initial purchase price to see if investing some new technologies may benefit your fleet. While the upfront cost is going to be higher by upgrading parts or the whole system, fleets can realize long-term cost of ownership savings by researching what works best for them and approaching it from more angles than just the initial price. One of the most significant shifts in trailer suspensions has been the move toward integrated solutions — combined suspension, axle, and wheel-end packages where every component has been designed to complement the others and work together. 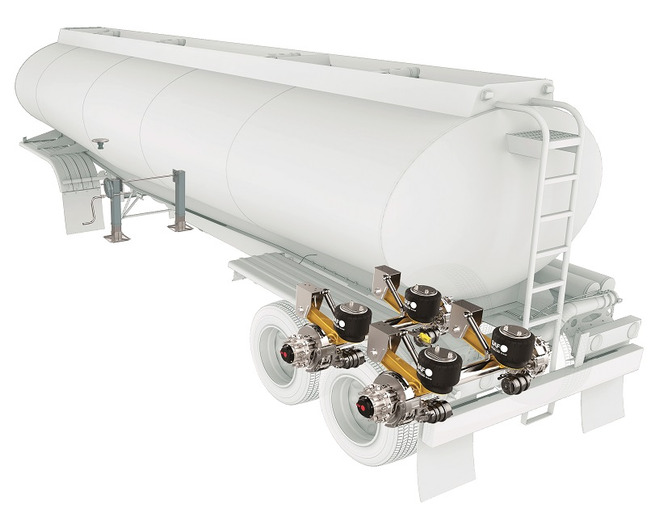 Approaching trailer suspensions as part of an engineered package can have benefits for buyers in reducing maintenance demands over the life of the trailer. More and more, suppliers say that on-highway, dry-van customers, which make up the largest segment of trucking, are challenging the standard way of buying trailer suspensions and moving to a total systems approach. Suppliers are combining newer technologies such as air disc brakes, long-life bearing packages and composite springs in order to increase warranty lengths and overall performance. These premium packages can come with a higher acquisition cost, making it even more important that fleets choose the right suspension package for their needs. Hicks adds that for many fleets, that choice is relatively straightforward, but the more closely they work with suppliers to understand what is available to them for their specific application, the more benefits they can realize. “There is no ‘one choice’ works for all from a suspension standpoint, as each fleet has unique requirements that require a detailed matching process to ensure the right choice is made to optimize fleet overall efficiency,” Hicks says. He believes fleets have to look into every advantage they can get in order to differentiate themselves from competitors. By taking the long view, peripheral advantages from an integrated system such as improvements in maintenance, safety, performance, and even driver preference can translate to real savings, if not more customers. Depending on the application, it’s often worth a fleet’s time to research what trailer suspension solutions are available. Features such as air disc brakes, tire pressure management systems, and different spring types can pay dividends down the road. It’s these advantages that Hendrickson is targeting with technologies such as its Zero Maintenance Damping option for trailer suspensions. This air ride suspension removes shock absorbers and bump stops by integrating the damping function directly to the air spring. By changing the internal structure of the air spring, Hendrickson was able to reduce the number of parts that need servicing and potentially reduce required maintenance over the life of the part. It is still a premium option for suspension models, but like many trailer suspension upgrades, the primary selling point is lower overall cost of ownership. To drive down the initial cost, the company has been working on integrating the technology into all of its high-volume suspensions. Air disc brakes are hardly new, but in the trailer space they were initially reserved for the kinds of safety-related applications that required them. Fleets that hauled heavier loads, such as fuel haulers, require the increased stopping power and reduced brake fade that they can provide. But today, dry van on-highway fleets have been exploring their use because of the performance and maintenance gains they offer in less-demanding operations. Air disc brakes aren’t preferable in every case. Vocational off-road applications often lend themselves to drum brakes, which can be more effective under low-speed, high-load situations, especially in dirty environments. But for the fleets that can run with discs, lighter weight and stronger performance can pay dividends, along with less required maintenance. Tire pressure management systems are also an emerging trend in the trailer industry. While a TPMS is not a direct suspension component per se, again, this is part of the move toward an integrated systems approach. Some systems, such as Hendrickson’s TireMaax Pro, can inflate and deflate tires to a preset pressure level, ensuring they stay balanced. In fact, Scott Fulton, director of product development at Hendrickson, says a tire inflation system and suspension are inseparable and important to one another. A system like this can help fleets manage tire wear and increase tire life, while allowing drivers to concentrate on driving rather than service or maintenance. “A TPMS takes the driver time out of the equation, so they can quickly check to make sure the system is working or if there is a problem, rather than walk around and ensure all tires are inflated,” Fulton explains. In the end, many fleets will still buy trailer suspensions based on legacy, choosing to go with what has always worked. For a lot of fleets that’s okay, because it works for the most part. But if a fleet finds itself having consistent issues in the field, or is not achieving the performance it wants, the challenge is for managers to see if there is something better available. The answers could be out there, but fleets won’t know unless they see what trailers suspension makers are offering and explore solutions better suited to their operations.